I have not been very active on the forum trying to get the business up and running but have been perusing the site to check out all the brilliant work. I was hoping that we could have a detail day in CPT, we can use my premises in Edward Street, Bellville, I will close up at about 2 on a Saturday and we can all chill out and do the necessary. I have spoken to the landlord and all is clear. P.S for those of you that drink i share a premises with a pub so no probs there. I have a DA machine Megs G220 as well as some megs and chemical guys polishes. Just placed an order with Dave so hopefully my werkstat and collinite will also be in the mix. Im in Cape Town last week of April. like seriously dudes not many responses, how many of us from ct are there? 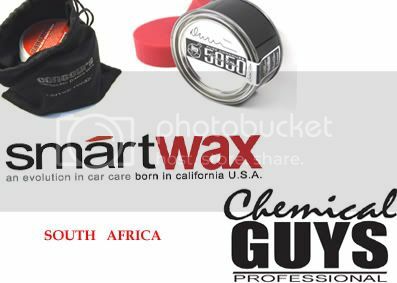 Myself and Moe will be in Ct on Monday the 22nd up until the 26th of march.If you guys want to meet up in terms of product knowledge and demos give us call we would be glad to meet up. I would love to come have a look once the date is set. OT but from what car is the "computer" in your avatar kripstoe? (18-03-2010 02:06 PM)Rory Wrote: OT but from what car is the "computer" in your avatar kripstoe? You guys coming down to CPT 22-26 March 2010 for an event? When confirmed ... could you post the details please? Itinerary? <-- JHB detail day recommendation … haha! Ill have to confirm with Naush. Ill have to see what their schedule looks like and work around it. I think they only here for 4 days. OT. I got 3.1/100 with me new one last week on my way to work. Downhill the whole way to work?? We just arrived in Cape Town yesterday. i will be spending the day with naieem tomorrow the 24th of March for the entire day. So if you guys want to meet up at his place or we might come to your place i am not sure how naieem has arranged evrything then we will see you on Wednesday. We also have limited time thats why Wednesday has been scheduled by naiemm and us.